This is a save or kill game, similar to this one we tried. 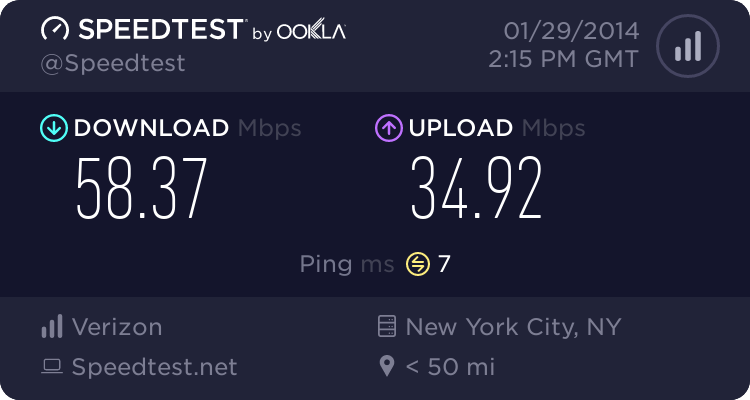 This time, as I assume all of us have played (or still currently play) video games, it'll be easier. There will also be prizes this time. But first, rules! -Members may add one name a post. -Post must include at least one photo for reference. Do not go overboard with the skin. -Come as close to the character's likeness as possible: no joke pics or caricatures are acceptable. -If you add two names in a row, only the first name will be added to the list. -Once the list of 15 names is populated, each name is given 20 points and voting begins. -Votes will consist of plus five (+1) and minus five (-1). -Members may vote once a day (within 24 hours). -Once a name reaches 50 points, it will be added to the “Victory” List. -The member who adds the last 5 to or subtracts the last 5 points from a name (sending it to either 0 or 50 points) may add a new name in it's place. -No trolling or useless spam (isn't all spam useless?). Normal banter is fine, we're human. But if it's out of hand, it's gone. -No bashing choices: this is not "greatest" video game characters of all time, nor is it a definitive list going on some blog or site. It's for fun. For the starting list of 15 names, 15 posters will be randomly selected and matched with a character on the first starting list. Who is matched up with who will remain a secret (with me) to prevent deliberately trying to kill or save who you (or someone else) is matched up with. When a character is saved, they go in the "Victory" list. If the character a member is paired with is on that list, they will receive one custom color for one month from the date it is added. When a character is killed, they go in the "Fatality" list. If the character a member is paired with is on this list, they will not win a custom color. If a member wins a color and does not want it, they may give it to anyone they please. All colors given are one-time only, and may not be switched out at a later time. The color list will be made available to the selected winners when the time comes. Now, to start the game. Please copy and paste the list and add in one name. Also add a reference photo, and blurb about the game. Valid links are acceptable. Commander Keen is a series of video games developed by id Software in the early 1990s. The series focuses on the adventures of Billy Blaze, an 8-year old boy who travels through space and assumes the identity "Commander Keen". The series was successful at replicating the side-scrolling action of the Nintendo Entertainment System Super Mario Bros. games in DOS. The cartoon-style platform games are notable for their pioneering use of EGA graphics and shareware distribution, and they were some of the first games by id Software (who went on to later develop Doom and Quake). Last edited by TitaniumFist; 10-25-2013 at 04:31 PM. Last edited by TitaniumFist; 04-11-2014 at 01:01 AM. If I remember correctly I was the first person to actually bring the save/kill game to PX. >> Whatevs. I add Mr. Harry Mason of Silent Hill. Why? Because he can walk through a world of total horror, blood, gore ladent mazes of rusty chainlink and barbed wire, monsters, snow, and bottomless pits of death, armed only with a pickaxe, a handgun, and a hunting rifle, and still have the energy to ask someone if "you've seen this little girl." Father of the millenium. Even Silent Hill had to reward him for his vain efforts to get back a little girl that was never supposed to exist outside of Silent Hill, who he loved unconditionally even though she was never really his to begin with, since he found her on the side of the road when she was three. Following his sucessful if ridiculous journey through unparalleled insanity (which really didn't bother him much, apparently,) he got a hot cop girlfriend, a brand new baby girl, and a BRAND NEW CARRRRRRRRRRRRRRRRRR! As stated, Harry Mason is a writer, though he is a loving and devoted father first. He is clumsy and awkward, but what he lacks in physical training, he makes up for in his devotion to his daughter, Cheryl, and the courage he needs to find her when she goes missing in the town of Silent Hill. Having lost his wife, Jodie, early in their marriage, his daughter is the most important thing he has in life, and he devotes his life to her well-being. He was also very perceptive and a quick thinker. This is shown throughout Silent Hill when he solves puzzles and picks up other character's personalities quickly. Yeah, pretty sure I did this right. I'm going to have to make a personal list so I can then pick one at random. Also, can we change point values to +/- 1 and kill/save point to 20? I don't trust some people here to know math. @Wolfeh, -1 for your first comment. lol. But +100 for Price is right. @Orlando0, yeah. Sure. First post edited. Last edited by TitaniumFist; 08-30-2013 at 09:16 PM. I just love the guy, my favorite game as well... the whole cast was cool, but i have to give it to him. the guy is awesome, he wakes up and doesn't even flinche, he just throws himself in the teleporter and just goes the distance, never failing, a true knight if they were still existing, a true hero seeking adventures. Man of not many words, but his actions and friendship were undeniable, even going the absolute sacrifice in order to save his friends. 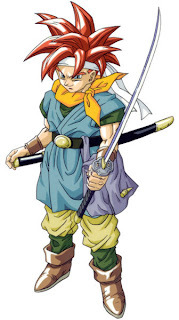 Crono is the spiky-haired silent protagonist of the game. He never speaks, using facial expressions to communicate; this is never addressed by any of the characters. His name is spelled Chrono (クロノ, Kurono?) in Japanese materials. He lives in the village of Truce with his mother. A chance encounter with Marle at the fair begins a series of adventures and uncovers a pre-millennial evil. In 12,000 BC, when the party is confronted with Lavos in the Ocean Palace of the Kingdom of Zeal, Crono sacrifices himself to save his friends, resulting in his death. With time travel, the player can manage to replace Crono in the moment before he dies with a copy received from the Millennial Fair in 1000 A.D, saving his life. The PlayStation and Nintendo DS versions of Chrono Trigger include an FMV scene at the end that shows Crono and Marle getting married. A second FMV depicts the fall of Guardia Kingdom in the year AD 1005, though it is unknown what happened to Crono during this event. Crono uses a katana as a weapon and learns to use "Lightning" magic ("Sky" in the original Japanese version). Also, most of the game's triple techs require his presence in the battle party if they are to be performed. The ones that do not require Crono's presence demand that one of the characters involved equip a certain accessory. In the initial design sketches, Crono was a "bad kid" wearing goggles and a cape. Concerning his death in the game, Kato noted that his policy has always been "to try and create games that run counter to users' expectations, surprise them". You know, if no one else is going to play this, I might as well fill up the list myself. "Cohen's an artist, says some. He's a Section Eight, says I. I've seen all kinds of cutthroats, freaks, and hard cases in my life, but Cohen, he's a real lunatic, a dyed-in-the-wool psychopath..."
BioShock is set in 1960, in which the player guides the protagonist, Jack, after his airplane crashes in the ocean near the bathysphere terminus that leads to the underwater city of Rapture. Built by the business magnate Andrew Ryan, the city was intended to be an isolated utopia, but the discovery of ADAM, a plasmid which grants superhuman powers, initiated the city's turbulent decline. Jack tries to find a way to escape, fighting through hordes of ADAM-obsessed enemies such as the deadly Big Daddies, while engaging with the few sane humans that remain and eventually learning of Rapture's past. The player, as Jack, is able to defeat foes in a number of ways by using weapons, utilizing plasmids that give unique powers and by turning Rapture's own defenses against them. BioShock includes elements of role-playing games, giving the player different approaches in engaging enemies such as by stealth, as well as moral choices of saving or killing characters. Last edited by TitaniumFist; 09-01-2013 at 03:17 AM. Orlando0, feel free to and add one every few days to give a chance for others. Bob, edited since Karma forgot to post the updated list. I think I'll go with once a day. I'm pretty sure 24 hours in-between is more than enough time for others to put theirs in. "The Maiden who is burdened by time"
Kamui is known as the Thousand Years Protector. Her Arcana keeps her in a state of eternal slumber, awaking whenever there is a crisis facing the human world. She relies on the Ministry of Elemental Affairs to give her an update on the current state of the world each time she awakes. With her trusty blade, Tamayorihime, Kamui is now on a mission to investigate the dimensional bend in the skies above Tokyo. 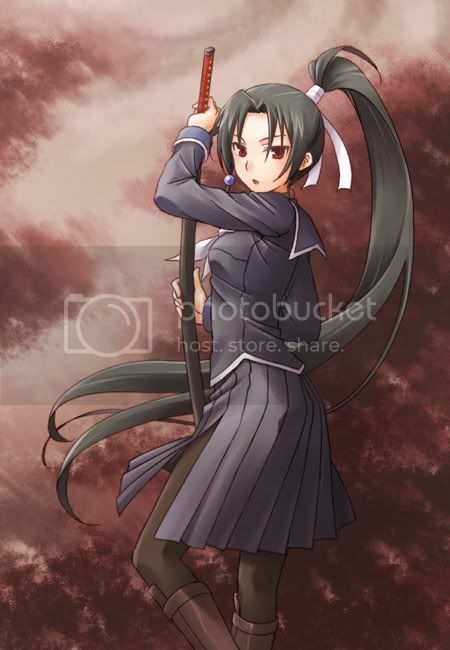 Kamui's blade was specially crafted for her when she became the Thousand Years Protector. It has the ability to cut through ether (Elemental substance) without cutting the physical body. Her age is "unknown" but she appears to be 16. She remains in a state of perpetual slumber until awakened by her Arcana Anutpada (Time). It is a mysterious clock-like mechanism that has lasted since ancient times and has the ability to manipulate time and space at its whim. You have a fighting game with a full cast of young energetic girls....and then you have Kamui. Her design may not be one of the most original ones, but her badass swordswoman design stands out when everyone else exhibits another traditional girly trait. The series did get more badass girls as it progressed(Petra and Zenia in AH2, Weiss and Scharl in AH3), but Kamui was the original one to have that title in the series. At the end of the day, Kamui is one lady I would not want to get on her bad side and thus one of my favorite characters. Last edited by Orlando0; 09-01-2013 at 03:41 PM. A former Army Ranger who joined the International Presidential Consulting Agency traveling around the world throughout the series mainly to cure the syphon filter virus. In comparison to Solid Snake, Gabriel Logan is a true badass in the special ops department when it comes to covert mission not sanctioned by DC or the president himself. He joined the Agency in 1991 following his tenure as a ranger in the army and excelled to become top agent in the field, up to the events of Syphon Filter 1 that began to expose traitors and spies among his own ranks and whom he even personally began to eliminate along with the terrorist they collaborated with. He continues throughout the series combating those who aim at utilizing the deadly virus syphon filter on the world at any cost, with or without the president's approval. 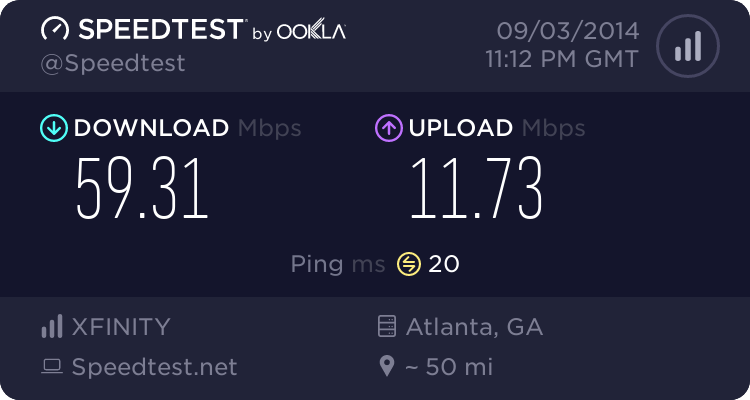 I present to you; Sparkster! "Sparkster had become a War Orphan and was taken in by Mifune Sanjulo; a friend of the King, and was at that point the leader of the Rocket Knights. Sparkster would later become a promising Rocket Knight at an early age. Later on, a corrupt Rocket Knight by the name of Axel Gear would try to steal an ancient book, which contained the secrets of the rocket knights. This book was kept by Mifune himself only to be caught. Axel and Mifune fought, and Mifune was severely wounded, leaving him permanently disabled. Sparkster would then become the new leader of the Rocket Knights, but he wants revenge for his adoptive father's suffering." and adding one other name ! Alucard, real name Adrian Fahrenheit Tepes (also known Adrian Farenheights Tepes, and original intention of the name Adrian Fahrenheit Țepeș), is the Dhampir son of Dracula. As the offspring of an unnatural bond between Dracula and a human woman named Lisa, Adrian had special powers, preordained to be stronger than any human but not potentially as strong as his father especially in the dark arts. After Lisa was killed, mistaken for a witch, Adrian grew up under the influence of his father, whence he was taught in the dark arts and molded into a warrior who would one day fight for the side of evil. Eventually he will fight the evil and become a good one. He's one of the few constants in castlevania games. because he is himself immortal we have seen him often in the franchise. fighting along side the belmonts on many occasions. the best itteration is still the one from castlevania : symphony of the night though. 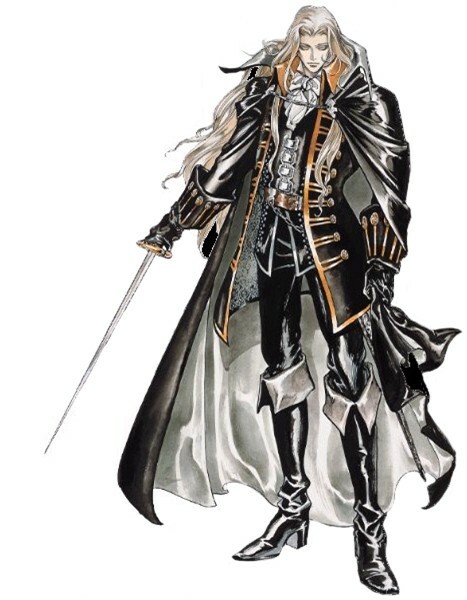 Alucard was also so cool a character that he had his own franchise way before ever joining in castlevania. Last edited by SSJKarma; 09-01-2013 at 07:29 PM. Mario is said by many to be the most famous character in video game history Mario games, as a whole, have sold more than 210 million units, making the Mario franchise the Best video-game selling franchise of all time. Outside of the super mario (series) platform series, he has appeared in videogames of other genres, including the mario kart racing series, sports games, such as the mario tennis and mario golf (video game) series, role-playing video games such as paper mario and super marios rpg: legend of the seven starts, and Educational game, such as mario is missing! and Mario's time machine. He has inspired television shows, film, comics and a line of licensed merchandise. Last edited by (X-A)ken-lord; 09-02-2013 at 03:57 PM. Robo-Ky is a robot created by Crow of the Postwar Administration Bureau, and was made to look like Ky Kiske to fool people. His job is to gather data on people and kill possible "nuisances." 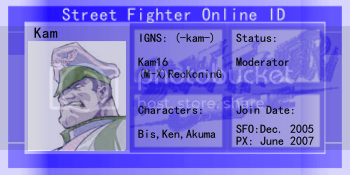 This individual was created by the Post-War Administration Bureau from the battle data of Ky Kiske, a former commander of the Sacred Order of Holy Knights, as a part of our imitation series. Thanks to its high mobility and simple production process, it can be used for a wide range of applications, such as subduing militants or investigating important intelligence targets. However, possibly due to an error in its design, numerous instances of unexpected behavior have been reported. Some of the defects appear to be in the command programming, and as such it has appeared on occasion to be driven by human emotions. Therefore, its success rate on most missions is quite low. It's individual battle capabilities are still undergoing revision, but its unpredictable nature hasn't been fixed yet, as the entire series is currently under consideration for replacement. Taking into account the above information, we give this series a risk rating of D.
Robo-Ky has perhaps one of the more interesting character evolutions I've ever seen. The original version of Robo-Ky was a mere pallete swap of Ky with an altered moveset with his story being that he was a serious threat to the cast. Then the developers decided to make him more unique. Starting from #Reload, his moveset was changed once again and his behavior and mannerism changed from serious to comic relief though this change only applied to in-game and arcade quotes as the story mode in #Reload was the same as in X2 and thus had the original serious Robo-Ky. Robo-Ky's comic relief status was further expanded in Accent Core, now adopting a womanizing nature and hitting on every female he encounters and asking them to be his wife. Robo-Ky is also unique in that rather than having a traditional tension gauge(super bar) like everyone else, he adopts a power gauge. He doesn't gain power as quickly, requiring other methods to gain power(Laying a power gaining mat in front of him or stealing it from his opponent with a command grab). It doesn't help that his special moves are affected by the amount of meter he possesses as they require him to have plenty of power for them to be effective(Yet, at their best, his specials are some of the best in the game). Additionally, he must also pay close attention to his heat gauge lest he explodes and gets cut short of whatever he was doing. His upgrade to comic relief made him even better and his status as one is shown throughout his moves. Oh....and he's actually more effective at fighting than Dan Hibiki! Guilty Gear just isn't the same without Robo-Ky and I'm hoping to see him back in Xrd. Do i really need to tell people who sonic is ? 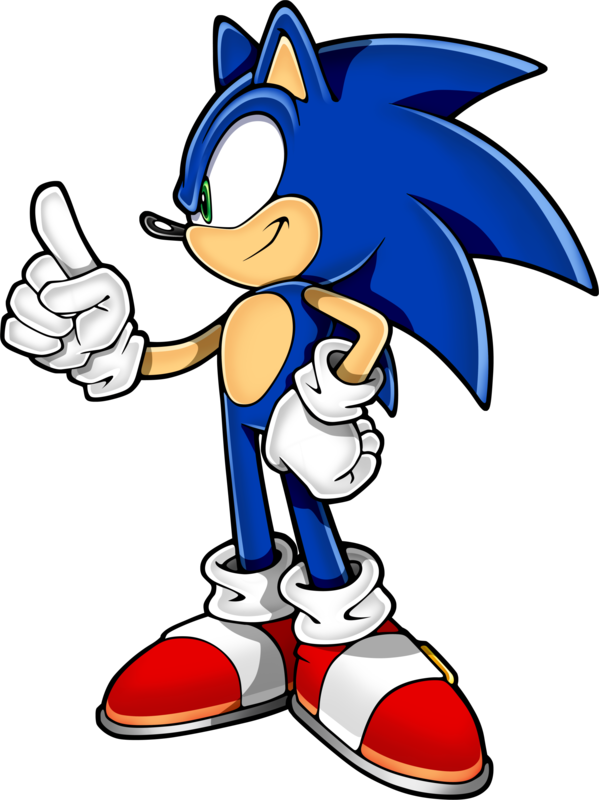 He appeared in thegames Sonic The hedgehog on the sega megadrive, then followed as Segas mascot, the same as mario for nintendo. he appeared on all consoles ever since. I get the feeling that Mario and Sonic will be the first to fall. On another note, pick it up. Don't make me take a third spot too. Cloud Strife is a fictional character and the main protagonist of Square's (now Square Enix's) role-playing video game Final Fantasy VII and several of its sequels and spin-offs. He was originally designed by Final Fantasy VII character designer Tetsuya Nomura. Cloud's appearance is marked by spikey blond hair, striking blue eyes, dark clothing and his Buster Sword which previously belonged to his friend Zack Fair. In Final Fantasy VII, Cloud is a mercenary and self-proclaimed ex-member of SOLDIER, an elite, genetically augmented military unit operating under the de facto world government, the megacorporation Shinra Electric Power Company. Fighting against Shinra in the resistance group AVALANCHE, and driven by a feud with the primary antagonist, Sephiroth, Cloud learns to accept his troubled past and adapts to his role as a leader. 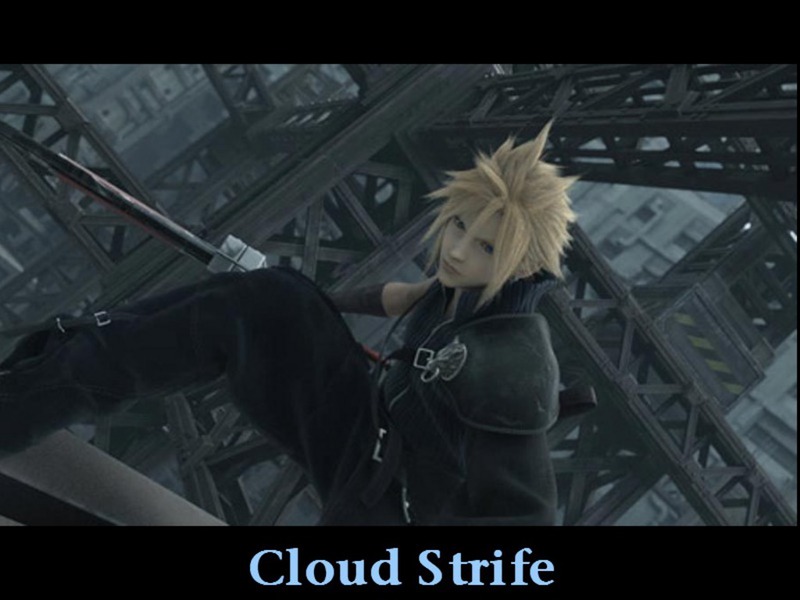 Cloud has also appeared in several other titles outside the Final Fantasy VII continuity, such as Itadaki Street Special, Final Fantasy Tactics, Dissidia Final Fantasy, Ehrgeiz and the Kingdom Hearts series. Cloud has garnered a primarily positive reception from critics. Described as "iconic," the character has been ranked highly in various published character lists. 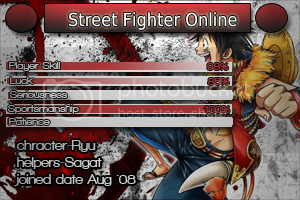 He remains popular among fans, and continues to place highly in popularity polls. He has also become the basis for a variety of merchandise, such as action figures and jewellery. "You want to keep everyone from dying? That's naive. It's a war; people die." Last edited by Straw Hat; 09-03-2013 at 05:13 AM. All right then, guess I'll be taking over a 3rd spot after all. This time, I'll go with a non-fighting game example. I should mention that I'm going to be very spoilerific for this one, but that point becomes moot on a game released midway through last gen's console life. Maria is an enigmatic young woman who is rumored to possess some very strange powers. Orphaned at a young age, she somehow became attached to Quark, an anti-Federation organization most active in the Klaus System. Now as its leader, she is using the group's resources to help her find Professor Robert Leingod and his family. This search naturally leads her to send her friends and coworkers, Cliff and Mirage, out to find Fayt. While mentioned in the manual, Maria herself doesn't appear in-game until you're halfway through the story....which is a really long time(SO IS a JRPG after all.). The only mention throughout this time is the indirect mention of "leader" by her subordinates who have been ordered to search and retrieve Fayt. Once finally introduced, she goes to work with her leadership role and you can clearly see the respect she and her co-workers have for each other. She's the voice of reason throughout the rest of the game and you never question why she's the leader of Quark. Maria is also straight to the point, as she didn't hesitate to tell Fayt the reason why she was looking for him, the two of them were genetically altered with special abilities and Maria wants to know why. When the group reach the moonbase which has the information they seek they're shocked to find out that the prophecies of the apocalypse are true....and they come in the form of an angry creator willing to destroy it's creation. As it turns out, the universe they know is nothing more than a game created by higher beings from a dimension known as the 4D and their advances in symbology research has angered the creator. The only thing that could stop him would be the very abilities given to them. It is then that the group decides to head to the 4D universe and stop the creator. They eventually succeed with the help of other 4D beings and the universe as they know it is safe. It definitely helps in-game that Maria is one of the best characters to keep in your party. She's capable of dealing big damage from far away with her gun techniques keeping her away from danger. She's also capable of the same thing up close, resorting to the kicking techniques she learned from her fellow co-worker. On top of that, she can use her altering powers to buff the party's stats. Je prend aussi un dernier spot... en tout cas venant de moi. Name : David "Solid Snake"
Started on the metal gear series off the NES it eventually came on Playstation under the name Metal Gear Solid, where snake finally got his solid nickname. thats also where we finally heard his real name. He's already pretty much known to everyone so i'm gonna stop there. I like the original one better, so i'm showing you the original one. He had no beard in the original though. A lot more 2D if i go to the real Metal Gear series. but a bit Blocky as well if i go to the original solid snake. that picture is from MGS2 though. i wish i had the patience to find a better MGS pic. GLaDOS (Genetic Lifeform and Disk Operating System). If you don't know the name, or the image above, then you've missed out on two of the most unique FPS games in recent years, and a character who's become a part of pop-culture. GLaDOS' manipulation, dark sense of humor, lack of emotion and mock emotion all come through perfectly as you play the game and follow the storyline. A lot of video games' villains are supported by a visual menace throughout the game, but here, Ellen McLain's voice acting is the backbone for the game's antagonist. 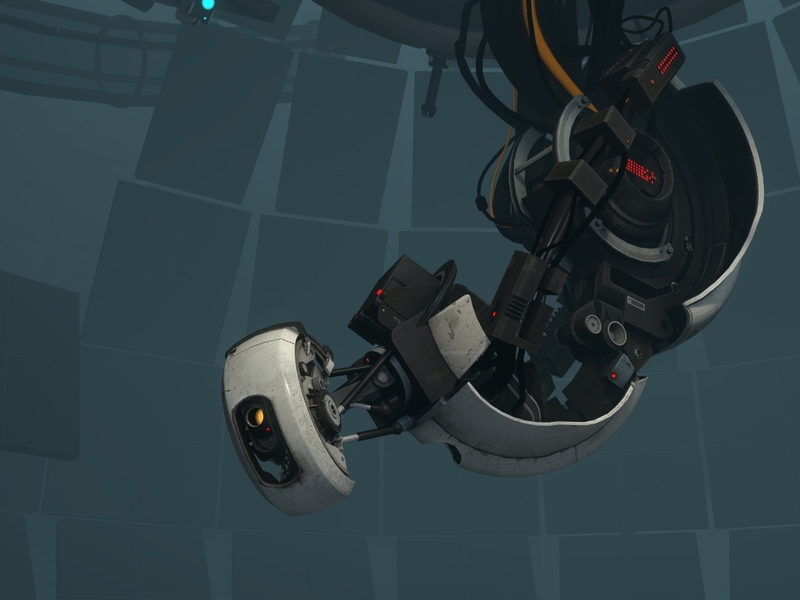 GLaDOS remains one of my favorite video game villains of all time. Let the voting begin. Place the words [SAVE] and [KILL] beside the names you are subtracting (-1) or adding (+1) points from/to. Last edited by TitaniumFist; 09-05-2013 at 03:01 AM. Last edited by TitaniumFist; 09-24-2013 at 02:34 PM.